It’s not even Thanksgiving, and the stores have been playing Christmas tunes for weeks. Holiday displays have been twinkling even longer in store aisles like Macy’s and Target and, well, just about anywhere else that sells things. It’s annoying that Christmas has become commercialized, yes. And I’ll have to admit I’m the first one not to want to jump into a purchase frenzy before I’ve even thawed my Thanksgiving turkey. But hear me out! There is a very good reason to think about (and start!) shopping now. Getting the shopping out of the way makes more room for celebrating Advent and the REAL meaning of Christmas when the time comes, with the family, unencumbered mentally. You won’t have to physically fight the snow and crowds and busy roads, or that stressful time crunch and pressure. You won’t click on a link and find the one sweater your mom might LOVE is just not available in her favorite turquoise blue in her size because everyone else thought their moms would like the sweater too. The early bird gets the worm, as they say, and the smart mom gets her shopping done before Thanksgiving, if she can. In this spirit then, I’m jumping on board to share with you my favorite ideas for Christmas this year. We’ve all read blogs that are plugging products guised under a thin veil as a creative idea for presents rather than the (not so blatant) advertising that it is. I WON’T DO THAT HERE! This list, this suggestion of Christmas gifts for loved ones comes from a sincere like and appreciation for the gifts. I’m not posting a link to do anyone a favor, I promise (I am good at ignoring requests for things I don’t like and I would NEVER recommend something I didn’t.) Many (actually most- probably 99%) of these suggestions come completely unsolicited by those who sell them. In some cases I’ll even give you multiple places for purchasing them. Among other things, I’m recommending books I think look amazing (or I’ve read and they are), knowing full well that if you like THEM, you may choose them over MY BOOKS. It’s okay. I want you to trust me to recommend only what I really like, what I’d really use and what I really feel is a great gift for a loved one. This picture/print gift will be cherished especially by grandparents, members of the family, especially young adults who have moved out. The photographs can be used in many ways to make key chains, mugs, even a mouse for the computer or a child’s t-shirt (Try Zazzle, CafePress or your local Staples store for these). The prints can also be used to make unique Christmas ornaments to give away to friends, or the first page of a scrapbook for the family, a nice Christmas tradition to start. Family scrapbook ideas HERE. A starter family scrapbook is a perfect gift for a young married couple. Nothing says ‘belonging’ like a family picture. Build family unity by giving this gift this year. Personalized Cookbook. Every family has its own unique recipes and favorite meals. Organize a family cookbook for those you love. This need not be elaborate. When my oldest children left for college I put together some recipes for them to make when they missed home. These cookbooks can be as elaborate (professionally done) or simple (typed out on the computer) as you wish. If you simply type out recipes on computer paper, cover with plastic and put in a three ring binder, the recipient can add what he likes as years go on. One of many many beautiful prints from North Dakota local artist Nellie Edwards. Nellie is a mother of eight, who began her painting after the death of her husband and with no previous fine art training. Her work is full of vibrant colors and attention to detail. It is stunning. 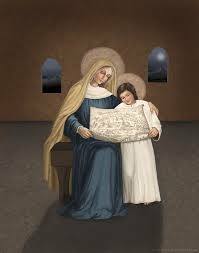 Her ‘Teaching Madonna’, a depiction of Jesus being taught by His mother Mary, graces my own homeschool room. This link will take you to her website. However, you can also purchase prints (or framed prints) from other distributors. Something from Goodwill or a locally owned vintage shop. Yes, you heard me right! Goodwill is a great place to find gifts! If you have a loved one who enjoys vintage gifts, you might be able to pick up a wonderful present for just a few dollars. My daughter and I each have vintage typewriters (mine from the 1930s, hers an enviable older one!) picked up from two different Goodwill stores. Figurines, silver, candy dishes (be sure to fill with Christmas candy before giving as a gift! ), tin signs, salt and pepper shakers, glassware, cigar stands, decorative plates, and small furniture like stools and chairs, which can be inexpensively painted, all make wonderful gifts for the right person. I’m lucky enough to have Mishawaka Art and Frame, a locally owned, wonderful vintage shop nearby as well. There I have purchased many quaint items for gifts, including 1950s president shaped shot glasses, antique glass Christmas bulbs, and a pretty 1940s lamp. The etsy shop for this store is online here. Even though he was born without arms or legs, Nick Vujicic created a “ridiculously good life.” But after dating disappointments and a failed relationship, he reached his mid-twenties worried that he would never find a woman to love him and share his life. Then Nick met Kanae and everything changed. But even with undeniable chemistry, they would have to navigate twists and turns worthy of a romantic comedy before becoming “one” in marriage. In Love Without Limits Nick and Kanae tell how they improbably found each other, fell in love, and then fought to overcome skepticism from others about their relationship. Filled with practical insights that will benefit any couple, this inspiring book describes a godly courtship and the early years of the Vujicics’ marriage and parenting journey. Above all, Love Without Limits is an inspiring reminder that when Christ is at the center of a relationship—even with serious challenges—true love will triumph. Asked to explain why a few people truly excel, most people offer one of two answers. The first is hard work. Yet we all know plenty of hard workers who have been doing the same job for years or decades without becoming great. The other possibility is that the elite possess an innate talent for excelling in their field. We assume that Mozart was born with an astounding gift for music, and Warren Buffett carries a gene for brilliant investing. 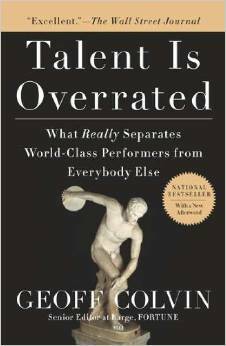 The trouble is, scientific evidence doesn’t support the notion that specific natural talents make great performers. 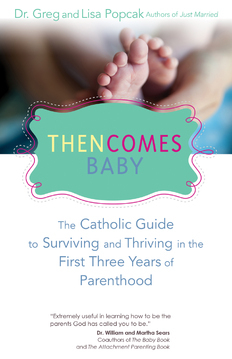 In Then Comes Baby: The Catholic Guide to Surviving and Thriving in the First Three Years of Parenthood, Greg and Lisa Popcak lend readers the benefit of their twenty-five years’ experience in parenting and marriage and family counseling to help them navigate the earliest years of parenthood. They recommend rituals, routines, and tips on how to manage feeding, fatigue, and finances and how also to prioritize marital bonding and faith life, suggesting that setting the pattern early will pay dividends later. The Popcaks coach Catholic couples as they become first-time parents as they adjust to their new identities and help them face the inevitable challenges of parenthood with ideas for bonding with babies and getting sufficient sleep and nutrition—all while seeing these everyday experiences through the lens of Catholic teaching on the purpose of family life. Wow! I wish they would’ve had something like this when David and I were first starting out…. 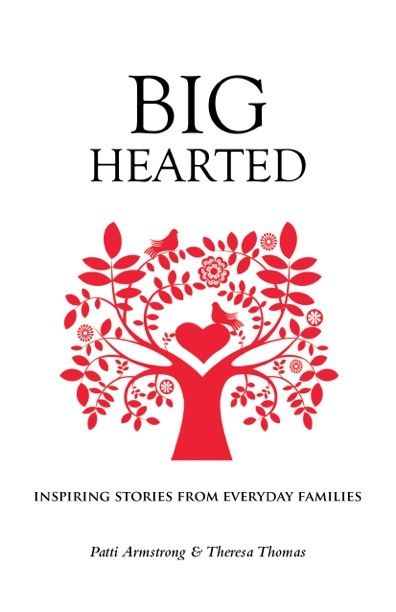 Big Hearted gives you an inside look into the triumphs, struggles, joys and sorrows of ordinary families with generous hearts. It invites you to witness extraordinary love in ordinary moments like the simple cooking of a meal or the hug between a teenaged brother and his baby sister. Just like your family, these families experience pain, setbacks, and challenges. And just like your family, they also experience love and immeasurable blessing through their commitment and care for each other. • Two orphan children from Kenya who prayed for adoption by an American family and got what they asked for! It has been said that God cannot be outdone in generosity. 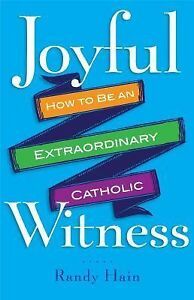 The stories in these pages will show you how big hearted families experience this truth in a myriad of ways, sometimes miraculously. 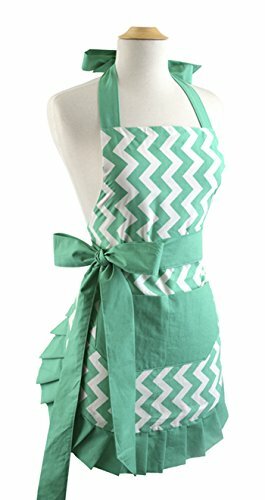 Jessie Steele has a nice collection of pretty aprons. Modcloth sells many unique ones. 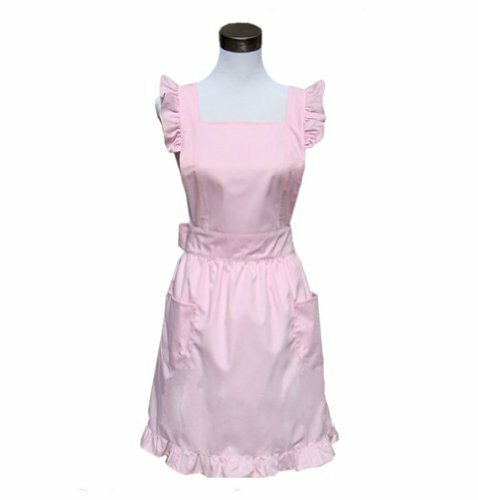 Then there’s always Etsy and The Apron Shoppe. 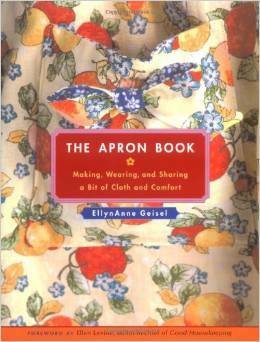 For a fun flip through of the history of aprons, decade by decade see Country Living’s article here. It’s a nice break from shopping and might inspire you with ideas. 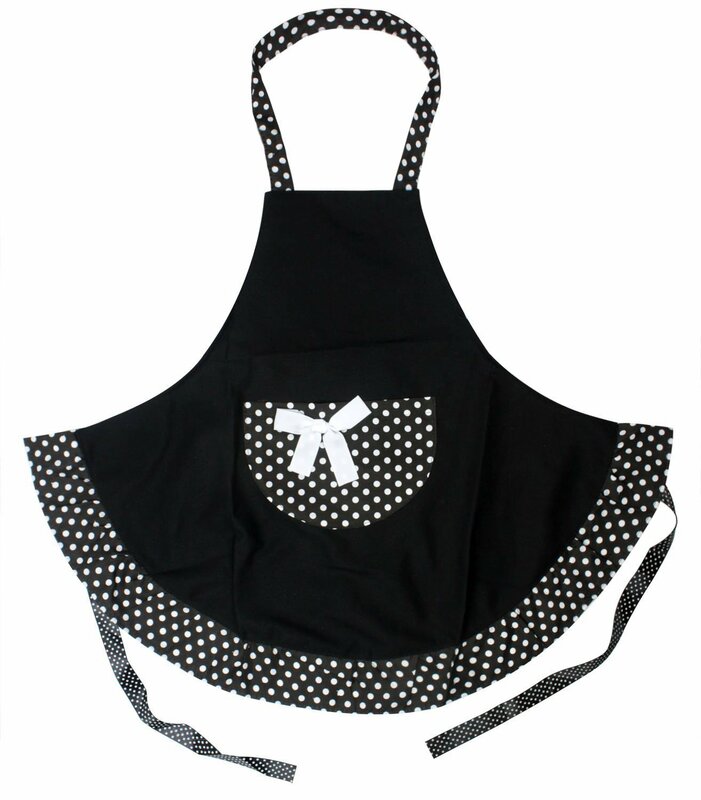 Are you hooked on aprons like I am? This list of ideas is by no means exhaustive, but hopefully, it has given you some ideas to get those creative juices flowing and get started on your Christmas shopping. Most of all, I hope this post helps you finish your planning and shopping early so you can truly enjoy the Reason for the Season. Nine children’s stockings are attached to the fireplace with holders (I don’t want to ruin the wood with nails, you know!) David’s and mine will go up Christmas Eve. 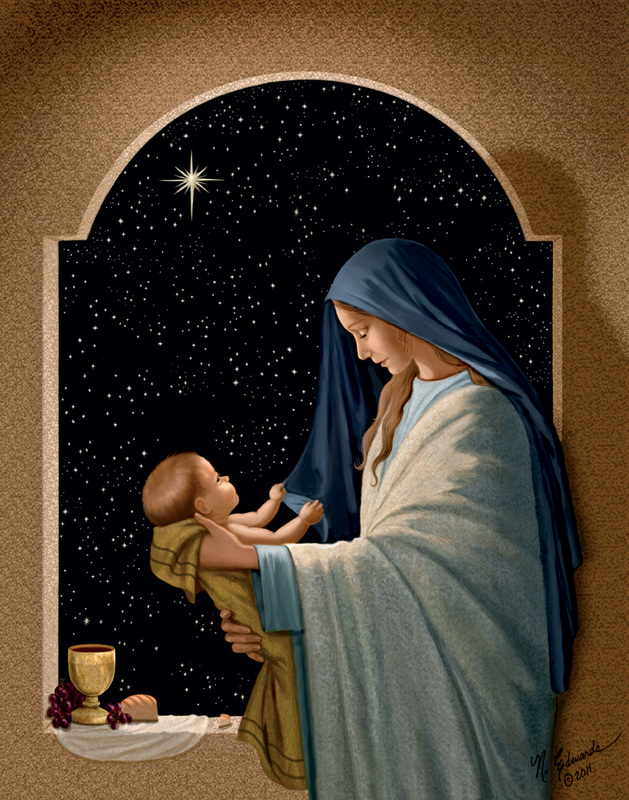 This time of year, I always think about the babies too who are waiting for us in heaven. There should be five more stockings. I know, bittersweet. I love staring at the stockings hanging. Each stocking has a story. Each is like a little fingerprint or snowflake- unique, different, special just like the person to whom it belongs. For many years, it was always an exciting time each year when we added another stocking . 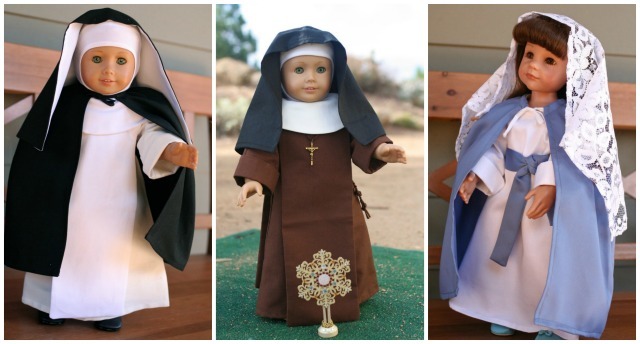 I hand stitched each with love, although imperfectly. Stitching the stockings is like being a mother. Just as my efforts are strong in my attempt to be a good mother, I am still imperfect. Just as my effort to stitch the perfect stocking for each child was the very best I could do, each is still imperfect. I don’t worry about either too much now that I am older. It doesn’t matter. There is love infused profusely in both endeavors. I ask God to fill where I lack in my mothering, and I ask Him to fill each individual child’s needs. Each stocking reminds me that I need God’s help with raising and loving each of my unique and special children. When I was pregnant the very first time, just a few months after David’s and my wedding in 1986, my mother suggested I start to sew a stocking for the new baby. I chose quilted Christmasy material from the fabric store, and began. I didn’t have much experience sewing, and the stocking was all done by hand. This was before the internet and Google and You Tube videos which could have instructed me expertly how to undertake this new endeavor. I just plugged along and tried to figure it out. I did okay. Not great. Just okay. Some parts of the material were lumpy. Some stitches were uneven, but every stitch was full of love. 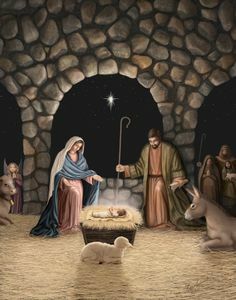 Just a week before Christmas it became clear that the pregnancy was in trouble. Each stitch then became an action of hope and prayer. 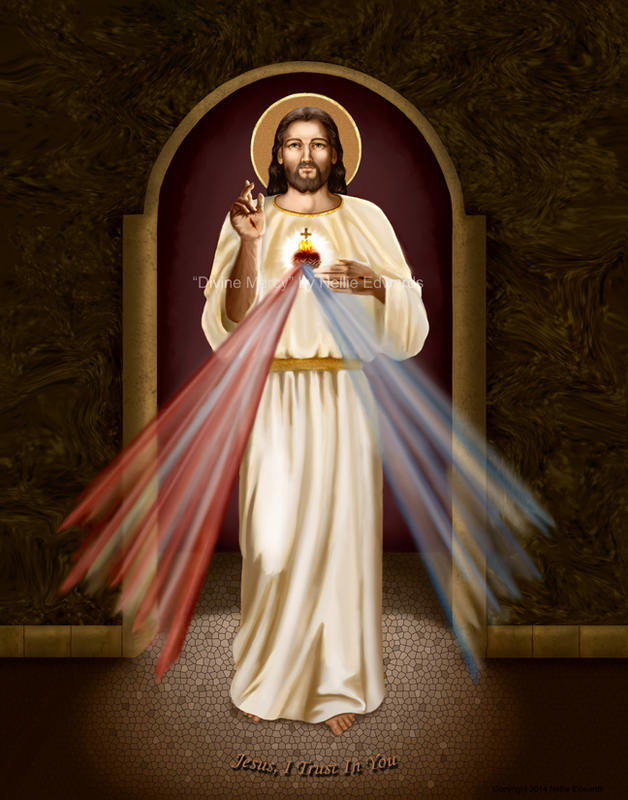 I whispered Our Fathers and heartfelt murmurings to God with each needle going in and out. On Christmas Day I lost our child, and David and I mourned. The stocking was set aside. A few months later we were pregnant again, this time resulting in the eventual birth of David. I happily cross stitched his name in the red area of the original stocking that would have belonged to someone else- a brother or sister who had no need of it now. Being practical, I gave it to our new son and it became his. Fourteen months later, baby Michael came along, and I made another stocking, this time selecting green for the background color. When Caroline was born two years later, I took out the fabric again, but I was winging it and her stocking ended up way bigger than the boys’. My husband told me not to worry about its size. It is unique. Indeed. More presents fit inside, which suits Caroline just fine. Matthew’s stocking was next, in 1992. It was stitched while he was just a few months old. We hit some busy years with miscarriages or newborn babies punctuating our lives about every 18 months. Those years the children had stockings at Christmas to hang but it took a long time for me to cross stitch the names: Melissa, Rachel, Theresa, Angela. Grace still has a blank stocking, and she told me she liked it that way. 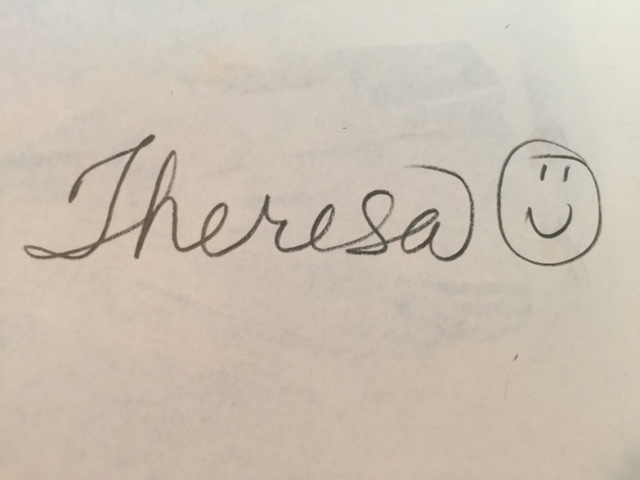 This year she decided she wanted her name added. I’m happy to oblige. Today, tonight, the stockings hang and I think of, and pray for my children. I am grateful for the gifts of their lives in my life. They, with my husband, are my greatest gifts. And I pray, that just like the stockings are filled with presents on Christmas morning, that I can always fill my husband and children’s lives with support, generosity and love. We are blessed and overflowing with joy. Thank you, God. We can learn from one frustrated mama…. My brand new personal author page- please ‘like’!